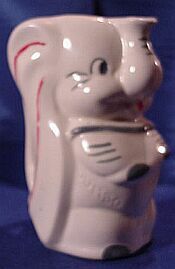 1940 - 1985. 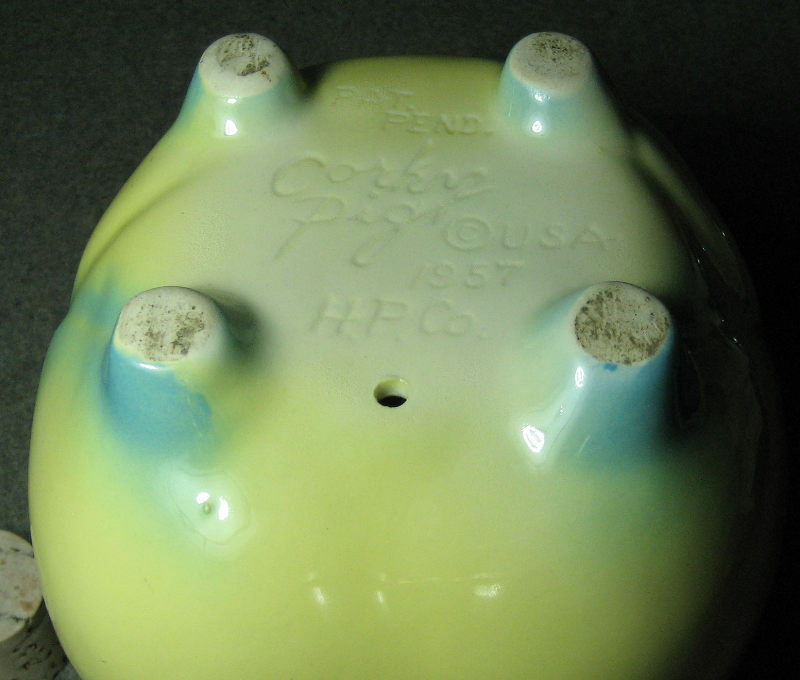 Produced in different molds including sitting pig bank which was available in brown sand and gray. 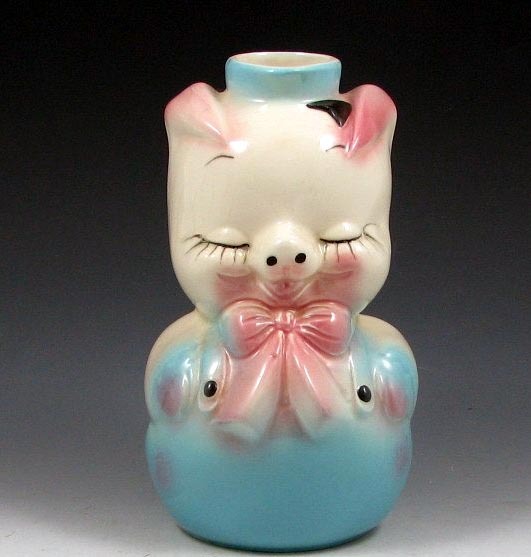 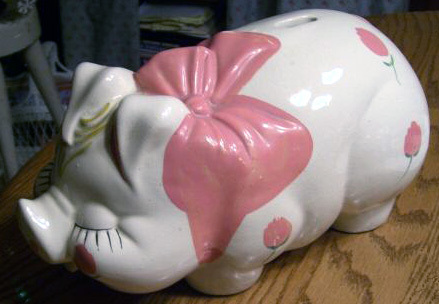 The Corky pig bank was produced from 1957 to the closing of the plant in 1985. 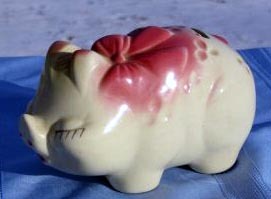 Corky pigs were marked in Script, Corky Pig, 57, USA. 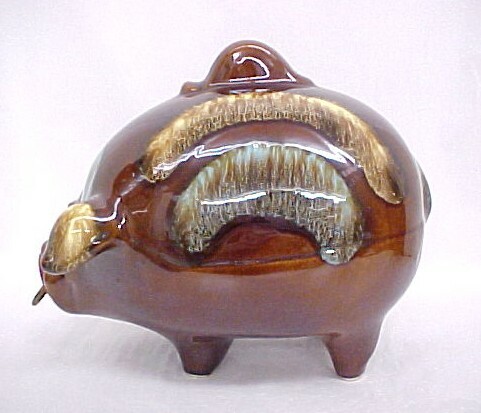 The largest of the banks was marked USA only and was also produced by McCoy Pottery. 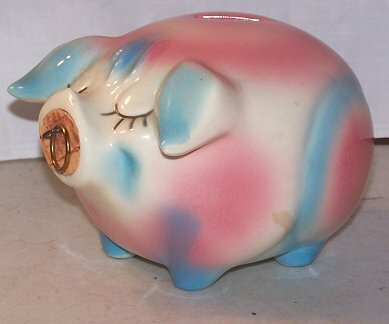 The dime bank was produced in the 50s and was marked USA only. 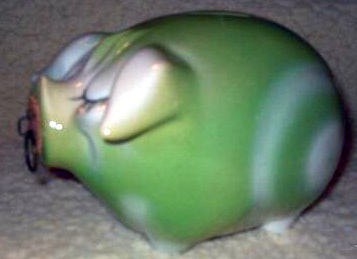 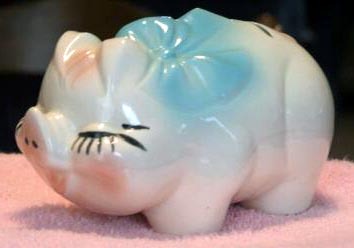 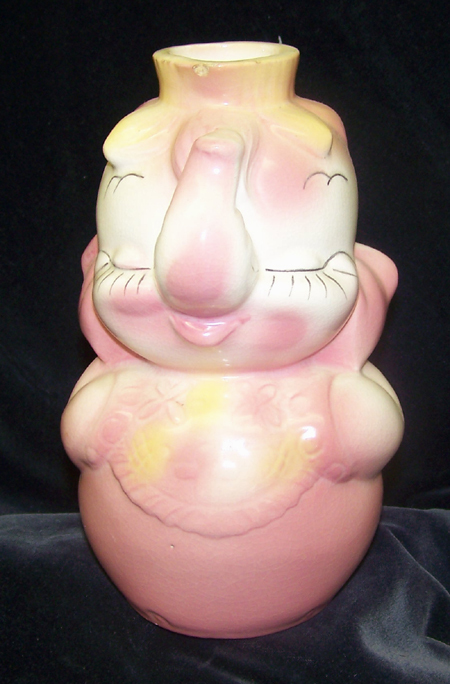 The Razorback pig bank was produced in the 60s. 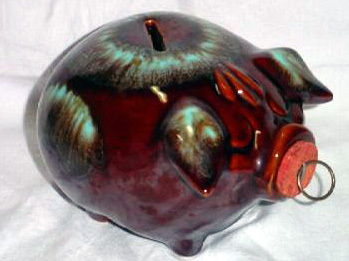 The banks were produced in many different colors including gray, brown, green, yellow, gray, flesh and combinations of other colors. 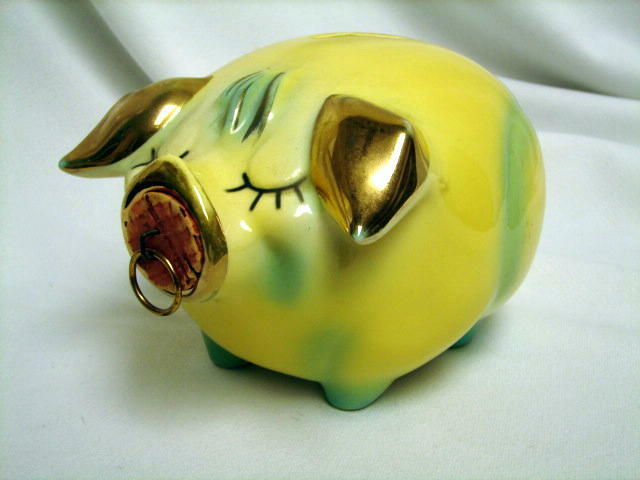 The higher priced pigs are the ones noted as Bulls eye pigs with a bulls eye on the rear of the pig. 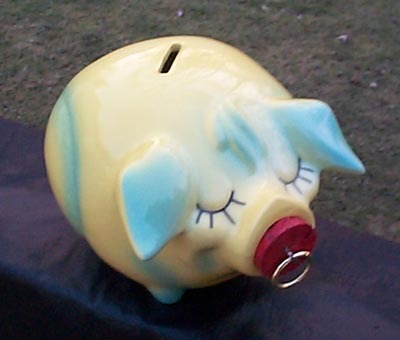 Also the value depends on the overall color of the pig. 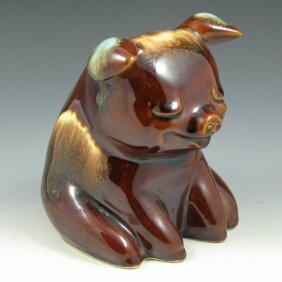 Brown will always be of lesser value than the other colors.